Regardless of the type of business you run or the industry you are in, you need consistent sales. You need customers that don’t just buy from you once, but keep coming back for more. In short, you need those valuable numbers on your side. However, selling more of your products or services can get complicated, especially if you have big goals. Being a business owner, you have a lot of control on many areas. Except when it comes to customers who can be unpredictable and give you hard time. The only way you can gain control of your business is by influencing consumers. And one of the most effective ways to do so is by building a powerful email funnel. With a funnel like this, you will not only get more leads, but also convert those leads into sales while delighting existing customers. What Do We Mean by an Email Funnel? Many names, same purpose. An email funnel is nothing but an automated chain of email messages that help your leads move towards the most wanted action. Every email funnel has the same goal: to nurture leads in the best possible way so that they can be easily moved from the top of the funnel to the end of it. The idea is to give them enough value at each stage of the funnel so that they don’t leave before hitting the buy button. Most people do not buy a product or service until they know enough about it. Building an email funnel will help your prospects get familiar with your offering and your company – which can increase sales in the long run. It takes them through a journey, where your list of subscribers thins down to actual purchasers. Here are some clear benefits of building an email funnel. It’s 10x harder to get a new customer than sell to an existing one. When you have an email funnel in place, you’ll be consistently and automatically generating new leads that you can sell to, day in and day out. The best part about having an email funnel is that it sells for you on auto-pilot. It’s like having a highly skilled salesman working for you round the clock, helping you convert prospects into customers. And all of this is done in a non-invasive manner. When you consistently serve your customers, even after the purchase, they turn into raving fans that do not hesitate to spread the word about your products or services. An email funnel lets you delight your customers and develop them into brand advocates. Which helps you get more business in the long run. How Does an Email Funnel Really Work? Successful email marketing is all about being relevant. The more relevant you are in your approach, the better your subscribers will respond. Setting up an email funnel allows you to create and share relevant content for each stage. This not only allows you to give your audience a more refined user experience. But also lets you deliver value that ensures they reach the end of the buyer journey. Growing awareness about your brand is where it all starts. Because until and unless people know about your brand and your company’s principles, they won’t be comfortable moving to the next stage. Since this is the top of your email funnel, you should avoid talking too much about your product. Instead of pushing them to take action, it’ll only overwhelm them. Most of the time, this stage is perfect for educating your prospects about your industry and delivering real, actionable value they can use now. Even if you are sending cold emails, you cannot ignore value creation. The idea is to showcase your expertise so that it makes your company come off as a thought leader in your industry. Which in turn helps in building a strong relationship with your prospective customers. Your aim should be to spread awareness about your brand while giving them a reason to trust you. The more effective your “awareness” emails are, the more likely they will move on to the next step of the funnel. When you have succeeded in catching the attention of your target audience with enticing awareness oriented emails, it’s time to send them content that makes them consider doing business with you. If you’ve done a good job in creating valuable awareness content, it should make your prospects more intrigued or interested in what you have to offer. The consideration stage is where they generally ask for more information in relation to your product/service. Now’s the time to get more specific with your content and give your prospects what they want to learn. You can either choose to include this kind of supportive material directly in the email or have them visit your site for more engaging learning experience. Show them what’s in it for them and how your product/service can truly benefit them. Focus on talking about the main pain point that your product/service solves. Tell them what they want to hear, and not what you want to tell them – without being too salesy. This step is the reason why you have an email funnel in the first place. The previous two steps set the stage and made sure the prospect got well-informed. In order to convert your leads into sales, you need to follow up your features with benefits and make sure your content is persuasive enough. At this stage, you are not only giving your prospects a reason to buy your product but also letting them know that they don’t have forever. Inform them that they need to make a paying decision now by creating a real sense of urgency. Whether it is with a discount or a bonus, make them want to take action by making your deal even more enticing. Identify the common barriers or questions that they may have before purchasing. And remove them through your content. Don’t just stick to links in your emails. Because now you can add call to action buttons right in your email copy. Match the overall look & feel of your website and its content with your email content to give them a seamless experience. Grabbing the sale is usually seen as the most difficult part, so once you get that most-wanted conversion, you may have a sense of relief. However, given that you want your customers to buy from you again, you shouldn’t stop at the sale. Focus on nurturing your new relationship with your customer by helping them get the most out of their purchase. Keep sending them supportive content at this stage so that they know they’ve invested with the right company. Right from sending them simple tips to a complete video course on using your product/service, you can follow up with any type of supportive content. As long as it helps them become loyal to your brand. You want your customer to buy from you again. That’s exactly what this step helps you do. And you want them to feel good about doing business with you, instead of feeling buyer’s remorse. Getting your email subscribers to convert into sales definitely means that your email campaign worked. However, if you can get your customers to spread the word about your product/service, it shows that your email campaign was truly successful. Because when you truly floor your customer with your product and the experience after buying it, there are high chances of them turning into a strong advocate for your brand. Social clout or influence gives your brand more brownie points, making you stand out in the eyes of your customers. So when satisfied customers share positive reviews about your product or recommend them to their friends/colleagues, it shows that your influence worked on them. And they have a strong and positive view about your brand/product. Ruggero Loda is a well known coach who managed to create a personal brand in the world of running. So when he launched a resource (aptly called Running Shoes Guru) to help people discover the most proficient running shoes, the community took notice. Loda uses email marketing to connect to his community and has managed to build a huge email list of 20,000 subscribers. If you look at how he made Running Shoes Guru a raving success, it comes down to giving out real value. By offering exclusive eBooks and sharing informative links in emails, Loda teaches runners everything from choosing their new gear to what kind of nutrition they should be on. Even though these resources are free, they’re valuable to the community. Which helps his subscribers stay interested and at the same time cements his position as an authority in this niche. In fact, his community loves his email so much that his email open rate is almost 40%, which is rare. Let’s use an example to explain how you can do something similar. Let’s say that you are a business consultant and you’re willing to give away your free eBook called “10 Ways to Grow Your Brand”. And when interested people sign up to receive it, they are added to your full-fledged email funnel. By the end of which you’ll be selling them tickets to your private workshop on building brand awareness. Goal: Give away the eBook and briefly introduce yourself as a coach. Content: Ebook delivered via PDF, along with welcome note including your introduction/bio. Goal: Showcase your expertise on the building brand awareness topic. Content: Tell your personal success story tied in with the topic. Goal: Prove that people following your advice can achieve a similar kind of success. Content: Talk about challenges with brand building and how your students can overcome them more easily. Goal: Answer frequently asked questions and remove any last minute obstacles to the purchase. Content: Talk about real-world stories or examples from your coaching that show it’s a worthy investment. Goal: Introduce prospects to your upcoming private workshop. Content: Explain why your workshop delivers, how it works, etc. along with time-sensitive bonus offer. Goal: Give them a last chance to buy from you with an extra nudge to hit the buy button. Content: Let them know how much time is left and offer them more bonuses if they act right away. There are both paid and free methods for generating targeted website traffic. But when it comes to adding visitors to your email funnel, there are two primary methods. Each of which can be implemented depending on your marketing goals. One of the most popular ways to convert visitors into email leads is using opt-forms, also known as lead capture forms. Information that is usually collected via an opt-in form includes the “first name” of the visitor and their “email address”. The best part about email opt-in forms is that you can add them to any part of your website. Whether it is in your blog posts or on your homepage, they seamlessly fit almost everywhere. Using the modern email marketing tools available, you can measure the performance of your opt-in forms by testing out different versions of it. And see which of the elements of your opt-in form perform the best. Not to forget the opportunity to send tailored content to subscribers who have already joined your email list in the past. They can get added to your email funnel through your opt-in form and receive more value from you. This not only boosts the chances of conversions, but also lengthens their lifetime value. We regularly come across pages with zero navigational links to other pages and one big opt-in form in the middle. These are known as landing pages, dedicated to help you add more leads to your email funnel. Usually landing pages have some copy that persuades you to hit the signup button. Creating a high converting landing page is not just about the copy, but also about how you remove distractions and use the right call to action. See to it that you have one, strong call-to-action for your landing page. Because more than one may create confusion. The idea is to add as many prospects to your email funnel as possible. If you want, you may point out the benefits your product offers in a subtle way in your landing page copy. But make sure you aren’t directly mentioning or selling the product. For example, if you are selling a WordPress plugin that helps webmasters design better graphics, then you may have an email course that ties in with it. Such as a “7 Day Email Course on Creating Better Graphics” or something similar. Since your free course and your product share similar benefits in this example, you’d be able to improve your landing page in terms of copy and attract your target audience. When someone signs up for your email course, you’d be able to nurture them and push them further down the email funnel. Email has become the ultimate tool when it comes to growing your business and reaching a wider section of your target audience. Building a proper email funnel allows you to make the most of email marketing and helps you reach your business goals much more easily. 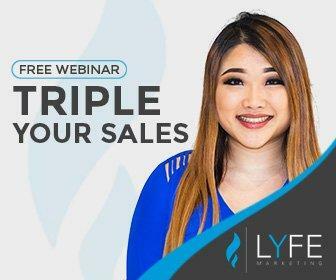 Let’s look into the basic steps you can take to creating a strong email funnel that helps you convert more leads into sales. The purpose behind your funnel is important. And having clarity on it will help you ensure you’re getting results. So ask yourself, why do you want to create an email funnel in the first place? If you’re like any other business that wants to grow, then the only reason you want to put an email funnel in place is to get more sales. You want a real, working system that nurtures your leads over a period of time and converts them into customers automatically. Understand that more than half of the leads that you add to your email funnel will not be ready to buy from you. Which means you need to put in effort to convert them slow and steady. When you set up a strong email funnel, your cost of acquiring leads comes down because you convert them through a well-defined nurturing process. Before you create your email funnel, try to get a grasp of what your customer’s typical journey would be like. Right from when they come across your offer to when they actually invest in your product. The more clarity you have of your customer’s life cycle and how they move through your funnel, the better it is. The idea behind building an email funnel is to connect to prospects that haven’t bought your product yet and continue sending them value until something happens. Keep your funnels simple and design them to convert based on your customer’s journey. Starting your email funnel on the right note can make a huge difference to how many leave and how many stay. Having an enticing series of welcome email sets the pace for future emails and keeps your audience interested. Email 1 gives new subscribers relevant information about what kind of content they will be receiving from you and when. Email 2 talks about your own success story and what made you or company reach where it is today. Email 3 tries to shed light on what your brand stands for and what it believes in. Emails 4 to 6 let you follow up with great, relevant content that your subscribers can put to use right away. Emails 7 to 8 can discuss their challenges or pain points while mentioning the advantages your product or service has to offer. The lead magnet that you use can make or break your email funnel because it’s basically the incentive you use to add people to it. A lot of marketers tend to complicate the whole lead magnet creation step, when it’s actually simple. Deciding on the right lead magnet is easy when you focus on the following few questions. What does your target audience really want or need? What kind of solutions they are looking for? What is the nature of their problems? How will your offer make their life better? When you are clear about the above points, you automatically know what kind of lead magnet to create. Ultimately, you want to give them an offer that leads them towards your product or service. Which means it has to be relevant to your main product/service while giving them enough value. Start by surveying your audience and ask the right questions. Because the lead magnet you create has to match the core intent of your prospects. Now, having an email funnel that helps you convert leads into customers and ends with that is incomplete. You need to go beyond and also connect to your new customers. Try to create an effective onboarding sequence of emails for all those people who have bought your product. After you’ve got the sale, it’s time to delight your new customers. The emails that are sent out to customers are not only important to avoid refunds, but also to ensure they are happy with the after-service. You want your new customers to become loyal customers that buy from you again and again. And that’s only possible when you keep delivering value to them post-sale. Your focus should be on engaging with your audience not only until the sale, but at every stage of their journey. Non-buyers are not your customers yet. But they have shown interest, which makes them a prime target. For instance, when you run a product promotion for a short period of time (such as during Black Friday), you will have people on your list who do not buy from you. Connect with your non-buyers and talk to them about their motivations or their reason to not buy from you. You need to gather targeted feedback that you can use to improve your products and as well as your email funnel. It may also stop a good majority of them from leaving your list. You have nothing to lose with this step but everything to gain. A lot of brands miss out on the opportunity to lead more about their target audience by ignoring their non-buyers. Your company should not make that mistake if it wants to build a profitable email funnel. Now you have all the tools you need to build a successful email funnel. Or maybe just tweak the one you have to be more efficient. You know what the best decision is for your company. But whatever you choose, we suggest you start right away. There’s no time to waste in a fast moving world like the one we live in today. If you don’t have the time or just want professional help, we’d be glad to help you out. We offer multiple types of email marketing services, including building you an email marketing funnel or automation. All you have to do is complete this form, and we’ll get started on placing you with the perfect specialist who can help you build your campaign.